When it comes to building WordPress themes and sites, there are several ways to go. You can write the entire code from scratch yourself, customize a ready-made theme or rely on a WordPress theme framework. In this post, we’d like to focus on the latter. Frameworks are used to ease the process of web development, as they allow you to focus on the design rather than code. In other words, the most difficult work is already done for you before you even start. Although frameworks can save a lot of time and effort, opinions about them differ among authorities in the target industry. It’s completely up to you whether you use a theme framework or go without it. If you decide to give this engine a try, you may find this set of open-source WordPress theme frameworks helpful for your undertaking. Choose the one equipped with the features that meet your individual needs. You might also like this collection of free starter or barebones WordPress themes. The first open-source tool featured in our post is Cherry Framework powered by Bootstrap. Released not long ago, its latest version, 4.0, has received a lot of positive comments from web developers over a comparatively short period of time. Cherry 4.0 can let you switch off all unnecessary options so that nothing will distract your attention while building a website. Such a feature is missing in most frameworks, but it is a must-have for comfortable usage. Independent Module Structure allows you to use Cherry components as standalone tools. This is what every framework should have, according to Tom J. Nowell from Automattic. Multiple Shortcode Variations help embed content of different types into your site. Shortcode Template Editor is meant to build templates for shortcodes and customize them by changing the order of elements, their attributes, etc. Static Area Builder enables you to fix a preferred position for static page elements throughout the header and footer. It’s possible by simply dragging and dropping those elements. CSS Minifier is an innovative tool designed to compile multiple CSS files into a single one and compress it afterwards for faster website loading. Backup Option will come in handy to restore the previous settings each time you don’t like the changes you’ve just introduced. Multiple Plugins are integrated into Cherry to provide quick solutions for different purposes. To name a few, there are plugins intended to add slideshows, sidebars, mega menu and post types for testimonials, services, team and portfolio. Compatibility with Third-Party Tools will let you equip your site with extra features. Responsive & WPML-Ready are must-have features today, as they allow for the creation of multilingual sites that can work flawlessly on both desktops and portable devices. Hybrid Core is an easy-to-launch framework that allows you to build themes with complex functionality without coding too much. Instead, you can include pre-coded features in your themes. The framework is compatible with Schema standards, which will make your data SEO-friendlier. What’s more, Hybrid Core is stuffed with developer-friendly features that are as follows. Breadcrumbs Script performs well on pages of any type including custom post types and taxonomies. Cleaner Gallery is a shortcode that can fix any invalid HTML and give you total control over an image gallery. Media Grabber makes it possible to create the featured media that can be grabbed right from your posts. Post Templates will be useful to build custom templates for different post types. They are cool additions to page templates. Numbered Pagination means you can build paginated links for search, blog and archive pages. They exceed standard “previous / next” links in functionality. Translation-Friendliness enables you to load translation files to parent and child themes automatically. Gantry was developed by RocketTheme professionals in an attempt to merge multiple functionalities used in their themes into a single framework. Based on a responsive grid system, this lightweight framework supports SCSS, CSS, and LESS. Take a look at the major features of its latest version, i.e. Gantry 5. Layout Manager makes it a breeze to build and customize layouts by dragging and dropping. Particle System allows for effortless creation, configuration and management of content blocks. Visual Menu Editor enables users to structure the menu hierarchy, add particles and icons to it, etc. Mega Menu is meant to provide advanced navigation besides a standard dropdown menu. Administrative Interface is powered by Ajax to handle a website backend at lightning speed. Twig Templating System can let you develop powerful themes with ease. In addition to the above-mentioned features, it’s also worth noting YAML-based configuration, mega menu support, off-canvas panel, powerful inheritance capabilities as well as built-in pickers of icons, fonts and images. Runway is an open-source solution meant to facilitate the development of WordPress themes. With its aid, you can distribute your themes as standalones, i.e. independently of the framework. Runway is also a white label tool, which will let you represent your theme as your own brainchild without any third-party involvement. Check the main framework features and their functions below. Child Theme Generator is intended to build, customize and duplicate themes. In terms of customization, you can change names, descriptions, admin menus, folders, etc. Theme Options Builder helps create admin pages, group theme options, and generate custom input types for specific functionality. The tool comes with drag-and-drop, click-and-pick controls. Modular Structure allows you to supply the framework with new functions by means of extensions. You can add them to it with a single click. The next open-source framework listed in our collection is Wonderflux. This well-coded solution can help you save a lot of time without compromising the efficiency of outcomes. Read what Wonderflux offers to users. Responsive CSS Layout System ensures smooth adaptation of custom themes to any screen. Flexible Layout Options can be filtered, changed or completely removed on the fly. 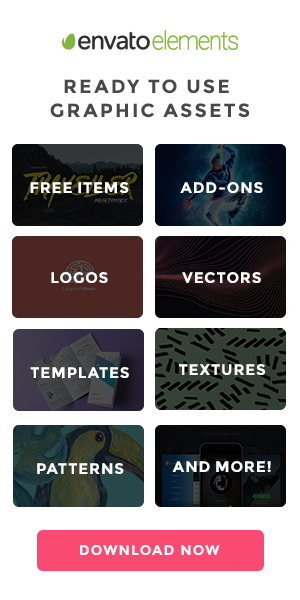 A Set of 100+ Hooks will let you embed almost any type of content and code into your theme. Simple Admin Options make it easy to reconfigure your site the way you like. 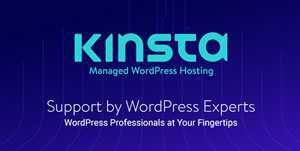 Compatibility with WordPress Plugins provides access to a lot of extra functional capabilities. Valid Markup provides compliance with generally accepted web standards, which is a favorable factor for SEO. Unyson is a functionally rich framework intended for both web developers and end users. It’s supplied with many customization options to ease the process of editing your website frontend. By means of a live preview option, you can check all the changes in real time in the admin panel. Here are some more of its cool features. Drag-and-Drop Page Builder enables you to create limitless pages via content and media shortcodes. Content Demo Install is an extension allowing for installation of the theme content exactly as it’s shown in a demo. 20+ Option Types will come in handy for generating boxes, tabs and form inputs for admin pages. Sidebar Module can let you modify pages with dynamic sidebars. Different pages can have different sidebars. Automatic Backup is an option to back up your content right in the WP admin panel. You can also set dates for automatic backups, e.g. every day, week, month, etc. Breadcrumbs Extension contributes to faster navigation by showing places previously visited on your website. Easy-to-Implement Sliders provide support for both image and video content. This is not a full list of the Unyson features. In fact, this open-source WordPress theme framework is also packed with multiple modules for SEO, contact form, events, portfolio, and submission of reviews and ratings. Furthermore, there are custom widgets for social media integration, Flickr and blog tabs. PressWork is a free WordPress framework built with HTML5 and CSS3. It is tailored for different categories of users, e.g. developers, designers, publishers, literally anyone. Look through some of the PressWork features below. Front-End Editor can help you change the visual side of your site by means of drag-and-drop functionality. BriefCase is a set of advanced plugins, which will let you extend the theme functionality. Thus, you can use the framework to its best advantage. Media Queries make your theme scalable to screens of handheld devices, providing an optimal visual experience. PSD File is designed to customize your theme in Photoshop, particularly to modify its logo, graphic elements, etc. Reverie is a versatile WordPress framework designed to build blogs, CMSs, online brochures or any other kind of site. Depending on your needs and skills, you can use it either as a starter or a parent theme. Keep on reading to get a clear idea of what Reverie is all about. The framework is powered by ZURB Foundation and inherits all of its features. HTML5 and hNews microformat provide clearer structure and better readability. To output HTML5 tags, you can use custom WordPress functions. By means of media queries, it’s easy to optimize your theme for portable devices such as smartphones and tablets. Reverie is quite minimalistic in its nature, offering only 2 widget areas and 2 custom menus. When it comes to styling web pages, you can harness the power of both SCSS and customary CSS. Reverie is only partially optimized for SEO, that’s why you are recommended to use a separate plugin for that purpose. Vafpress incorporates a toolbox to build the backend of your WordPress theme with ease. To characterize the framework in short, it’s worthwhile listing the following tools. Script Load Management makes pages load only necessary scripts. Thus, the front-end is not overloaded with any framework processes. Multiple Fields are available for users of Vafpress, e.g. TextArea, MultiSelect, CheckBox, RadioButton, Toggle, Sorter, and much more. Theme Options Builder helps organize fields into menus, submenus and sections. The builder can be written in XML format and converted into PHP Array afterwards. Metabox Builder enables you to write meta boxes in PHP Array. Group of Repeating Fields can be used to define some fields with an arbitrary number of occurrences. Option to implement a sample custom header. Custom template tags to prevent code duplication and keep templates cleaner. Script to turn a menu into a toggled dropdown on displays of mobile phones. Two sample CSS layouts with different sidebar positions, i.e. on the right and on the left. Well-organized CSS to streamline the process of theme building. Using an elegant and simple code syntax, the Themosis WordPress Framework uses "modern" PHP features like anonymous functions, namespaces, is Composer ready and is a mix between WordPress best practices and a typical MVC framework. As you see, you can find a good number of WordPress theme frameworks available at no charge. (As well as free WordPress Themes.) They provide an opportunity for you to pay closer attention to the visual side of your project and skip a tedious procedure of coding. Now, it’s time to decide which one of the responsive frameworks will assist you in building your next project. You may also like: Top 10 WordPress Plugins for Adding Ecommerce to Your Site.